To use the Advanced Search feature either use the Main Menu to navigate to the Search menu and the Advanced sub-menu. Or you can use the Binocular Search Icon under the Main Menu. 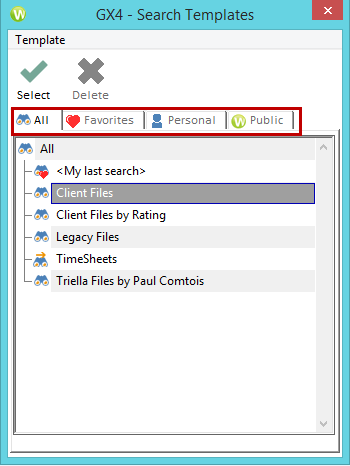 The Advanced Search will open the Search Templates Dialog Window. When a Search Template is opened, you will be presented with a series of fields to key into the files you wish to find. These fields may differ depending on the Cabinet Profile criteria used when Worldox was initially setup. There are a few ways to search from these fields. 1) Click on the Menu Buttons on the Left to get options related to the specific field. 2) Use the Pull-down arrows on the right side to bring up a list of previously searched records in the specific field. Just type the information directly into the fields. 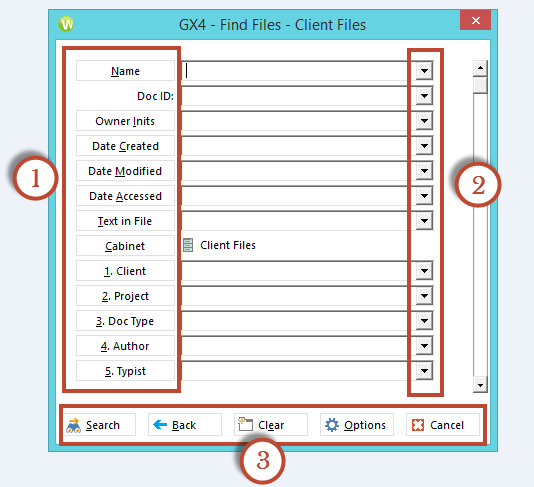 3) At the bottom of the Search template’s Find Files Window, there is a row of buttons which will perform the following functions. Search = Performs the search based on the criteria used. 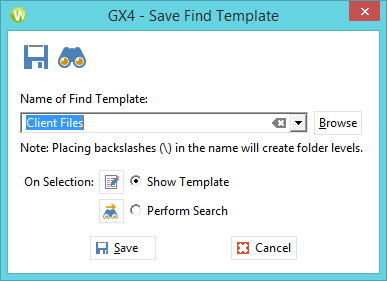 Back = Will take you back to the previous Search Template Window. Clear = Will empty all the populated search criteria fields. Cancel = Will Close the Advanced Search Window and can return you to the Worldox Main Screen. 1) Previous Find = Will revert the current Search Criteria back to the Search Criteria previously used in the last prior Search. 2) Edit Templates = This option will allow you to take an existing Search Template and edit the predefined template parameters to customize the template criteria to suit individual preferences. 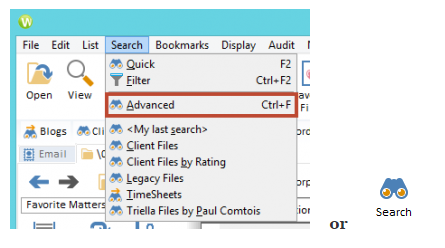 3) Save Templates = This option will allow the newly edited template to be saved under a new template name and provide the option to either show the template or immediately perform the search based on the template used. 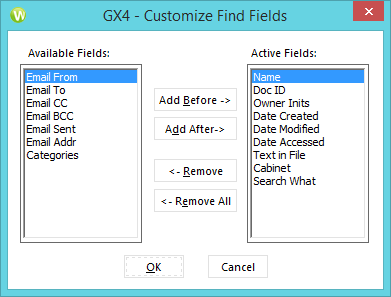 4) Customize Fields = This option allows the Search Template Available and Active fields to be added, removed and re-ordered to all for more advanced Search Template customization. 5) Archive Preview = Will allow you to search and view all Archived Files within the list of Criteria used in the Find Files Window. 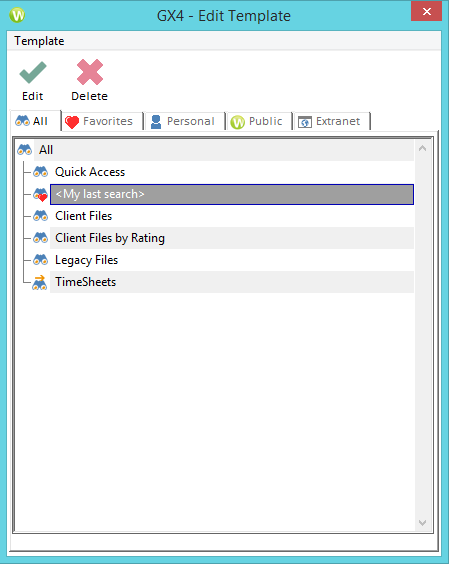 If any such files exist, then the option to restore them will be available to users with permissions to restore them. Once the main search results appear in the search list, you will also have the ability to filter the results by File type and narrow down the results even more by selecting the pull-down arrow in the Filter by Ext/Desc Field on the main screen.